For over 40 years the Parkcrest Dental Group team has been committed to serving Springfield and the surrounding areas with exceptional dental care for the whole family. Whether it is through general dentistry, board certified orthodontic care, board certified pediatric care, full cosmetic restorations, dental implants, or sedation dentistry services – we focus on providing high quality care for your family – all in one convenient location. Our dedication to providing the best in patient care and satisfaction remains strong. Come experience the Parkcrest difference today and see how we make having great smiles easy. We are here to serve you! Parkcrest doctors are dedicated to taking great care of their patients in the Southwest Missouri area. The Parkcrest Dental Group Business Assistant Team is eager to welcome you into the practice by phone. Meet the Parkcrest Dental Group Dental Hygiene Team. This team is responsible for helping assist the doctor and patient in having an efficient and easy experience at Parkcrest. Meet practice representatives who are ready to greet you at our office. Meet Parkcrest’s team of professional expert orthodontic practitioners. Parkcrest is lead by a strong administrative team with experience in the dental field. The Parkcrest pediatric dentistry team is dedicated to taking great care of many children in the Southwest Missouri area. 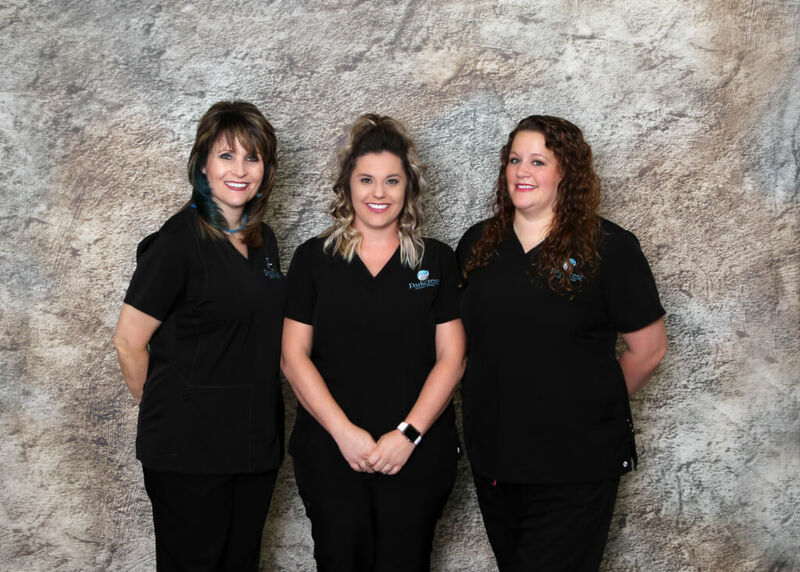 Parkcrest Dental Group Hygiene Assistant Team – this group loves to help the hygienists prepare their rooms, sterilize instruments, and assist to provide beautiful healthy smiles for all our patients. Look into how we are involved within the Springfield, Missouri community. Learn more about what sets us apart as a dentistry office from others in the area. Visit us at our newly expanded and remodeled dental facility in Springfield, MO, or contact us today to set up an appointment.